Dogs are wonderful creatures. They’re loyal, friendly, cute and sometimes funny and our lives just wouldn’t be the same without them. As a dog owner you want your best friend to be happy and to feel like a part of the family. 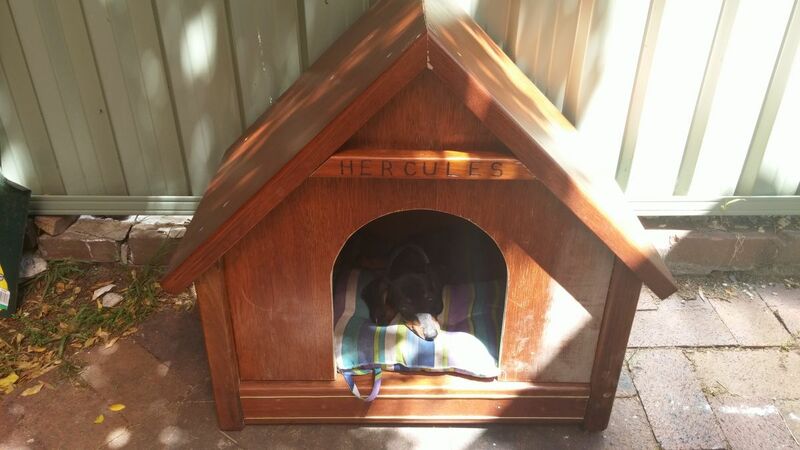 If you want to show your pet how much you love them you can start by building a DIY dog house. 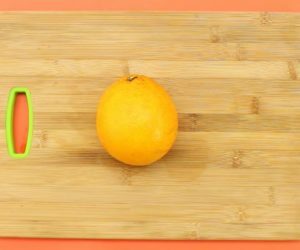 We have many cool ideas and plans that we want to share with you so let’s get started! 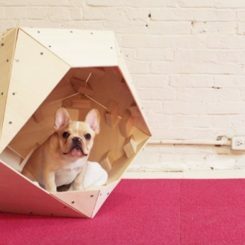 First we’ll look at some dog house plans that can help you build something modern and fancy for your small apartment friend. 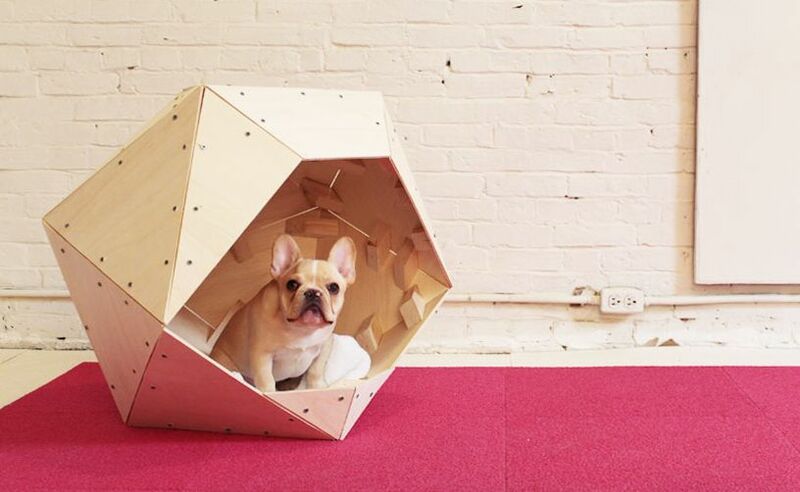 It’s a geometric dog house made of plywood. You can have it made specifically to the size of your dog so start by taking the measurements. 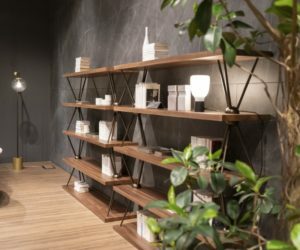 Since all the pieces have to fit perfectly together, like pieces of a 3D puzzle, it’s important to follow the instructions offered on homemade-modern as carefully as possible. 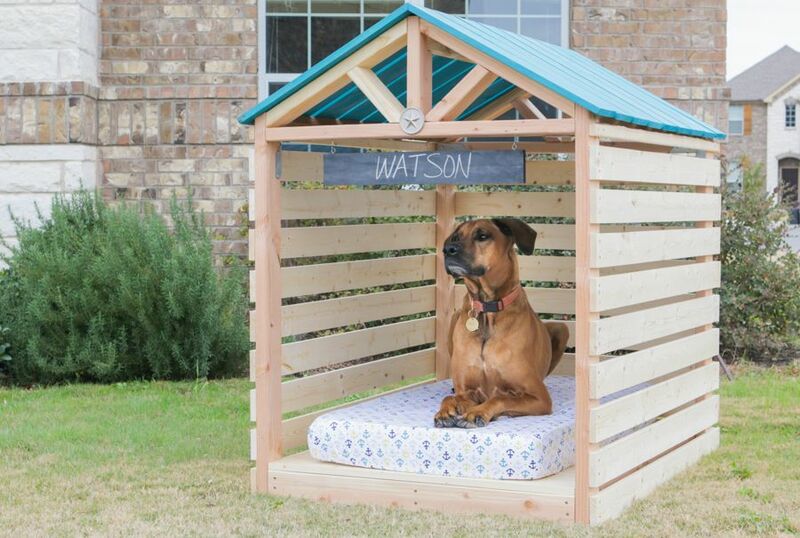 If you have a large dog you could build a cute gazebo out in the backyard. 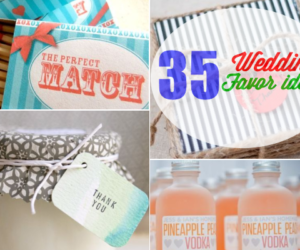 It doesn’t have to be a complicated project. 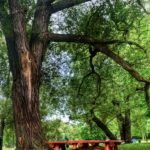 You can find the plans for the dog gazebo on jenwoodhouse. 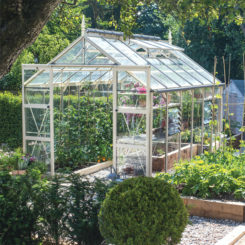 Start with the floor and the frame and then add the horizontal wood slats to close off the gazebo on three sides. The roof is added at the end. 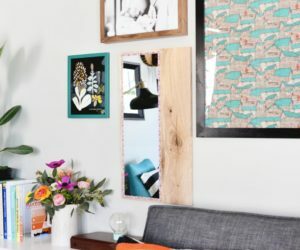 You can paint it or you can stain the wood if you want. 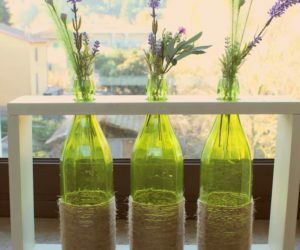 When you’re done with this part, add the finishing touches such as a cute hanging tag with your dog’s name on it and a comfy floor mattress. If your dog likes to spend a lot of time outside that’s great since dogs need to be able to run around and exercise a lot (especially large dogs) so you might as well build your friend a house in the backyard. 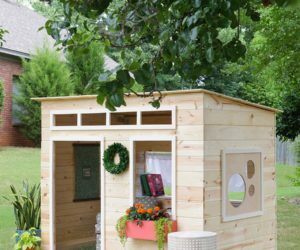 We found these amazing dog house plans on diygirlcave and as you can see the house has a cute little porch at the front and a pitched roof. It sits on wheels which means you can move it to clean up underneath. 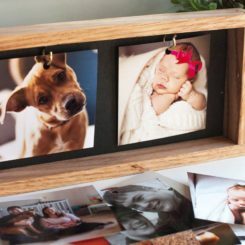 When building a dog house you can get creative and repurpose some of the reclaimed wood you keep in your garage or even an old piece of furniture like a dining table for instance. That’s actually exactly what happened here. 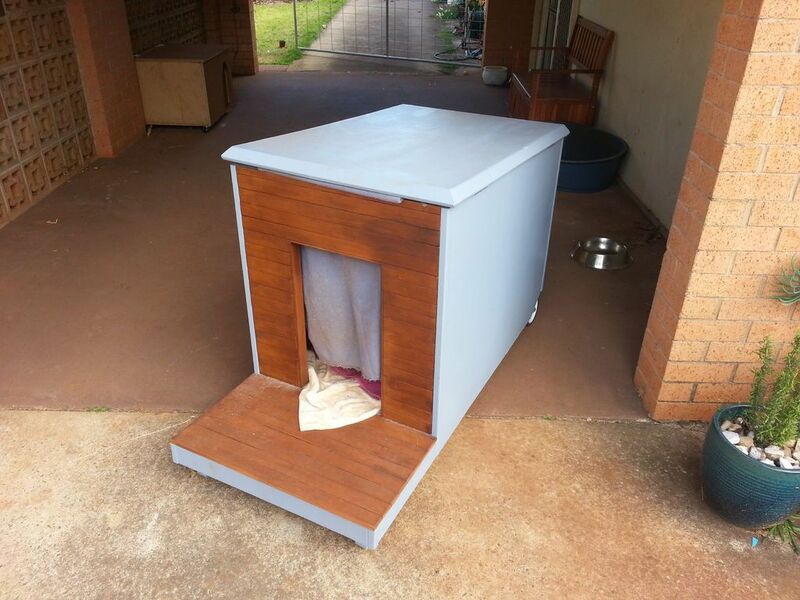 We found this cute DIY dog house/ ex-dining table on imgur and we just had to show it to you. 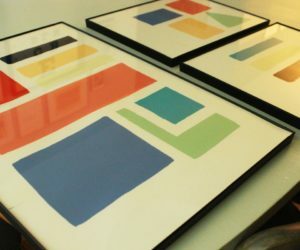 It’s really lovely and quite easy to put together too. 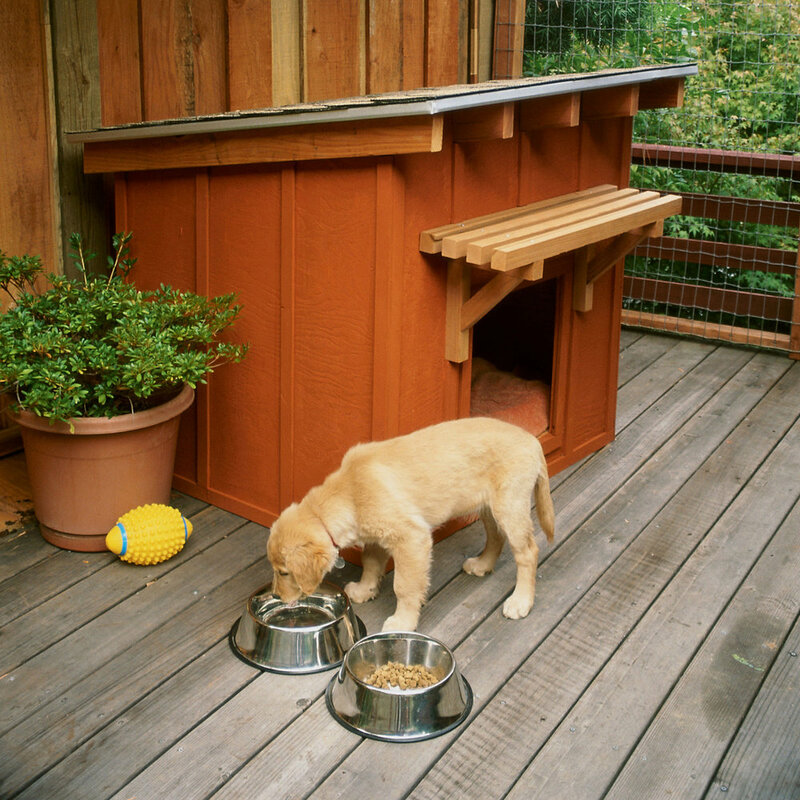 If you want something a big more fancy like a modern dog house with a flat roof, a door and even windows, check out these dog house plans that we found on modernbuilds. The house is actually big enough for two dogs or even an entire dog family. It does seem a bit difficult for the owner to get inside to clean up the place so you might want to add a back door for that. 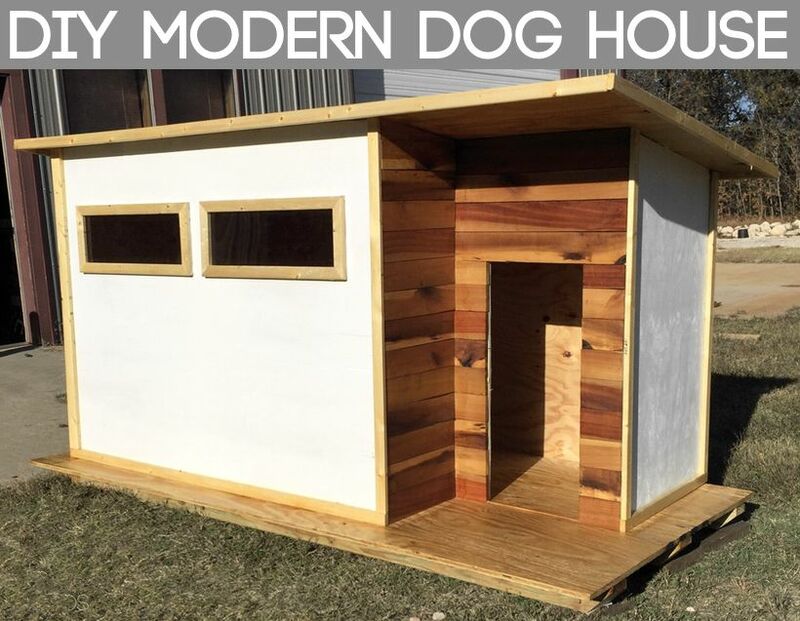 On modernbuilds you can also find a very detailed tutorial showing how to plan and then build a modern dog house with a roof that swings open like the lid on a box. That’s a very practical detail which allows you to clean up the interior easily and also to make small repairs if necessary. 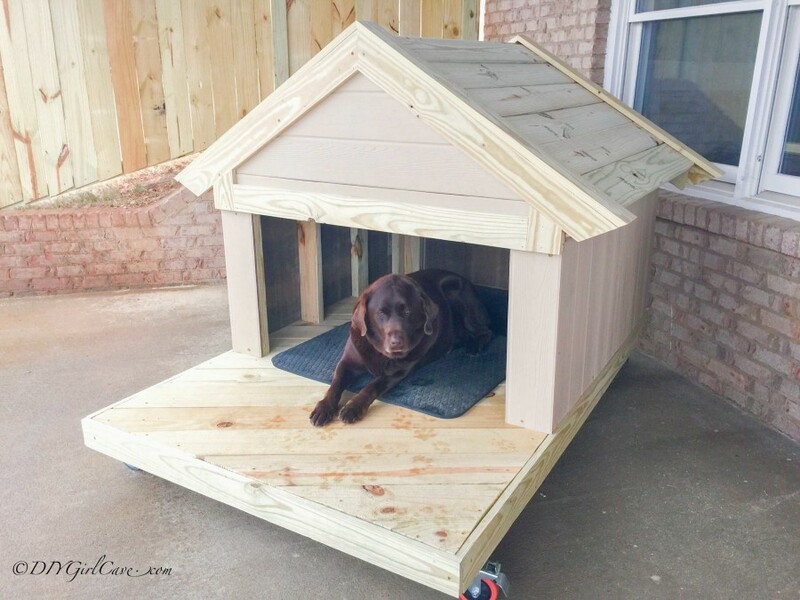 As far as the rest of the design goes, this DIY dog house is quite simple but very cute, featuring a small porch with a little roof for shade and even a porch light. 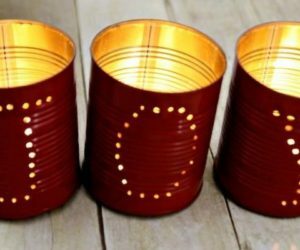 We recommend solar-powered lights. 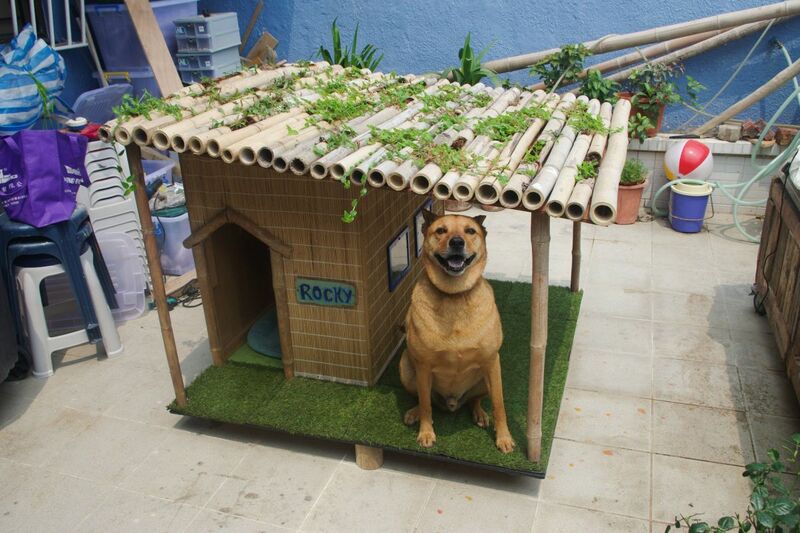 How about something a bit more tropical and fresh, like a dog house with a lounge area and a green roof? 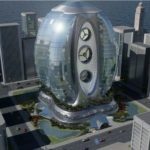 You can find plans for such a thing on imgur. That’s actually a lovely summer house design. 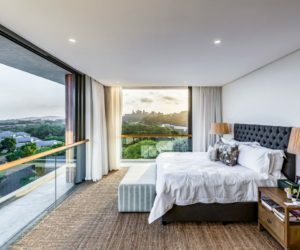 It has a cozy sleeping nook inside with windows and a cute little door but the main attraction is the shaded lounge deck with faux lawn carpet on it and that awesome bamboo roof with small planters built into it. 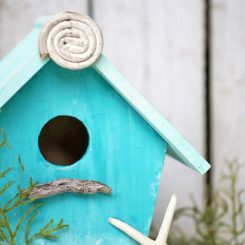 A simple little dog house can be very charming too. 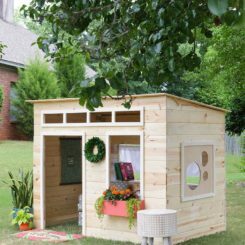 You could follow the instructions offered by handymantips if you want to give your dog a cute backyard house that’s just for him. 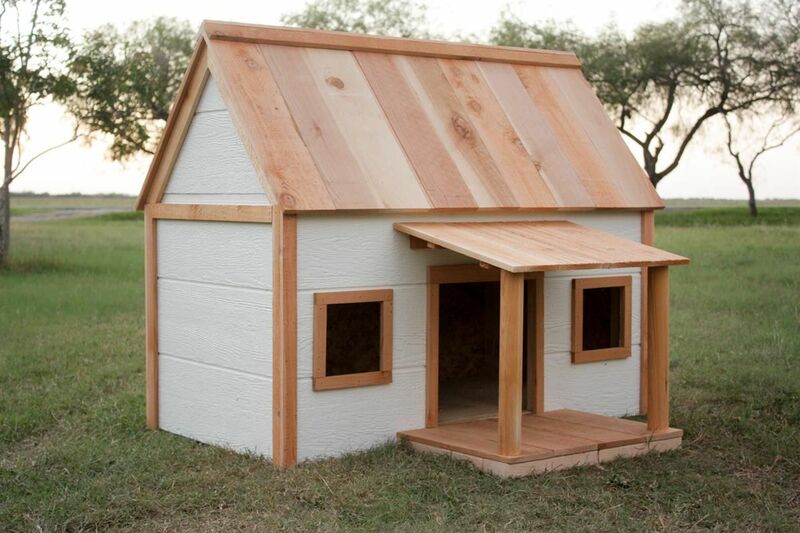 We love how basic this dog house is. It looks just like the houses we draw as kids. the red walls and the gray roof complement each other quite nicely and we love it that the house is slightly raised off the ground so it doesn’t get too cold inside during the night. 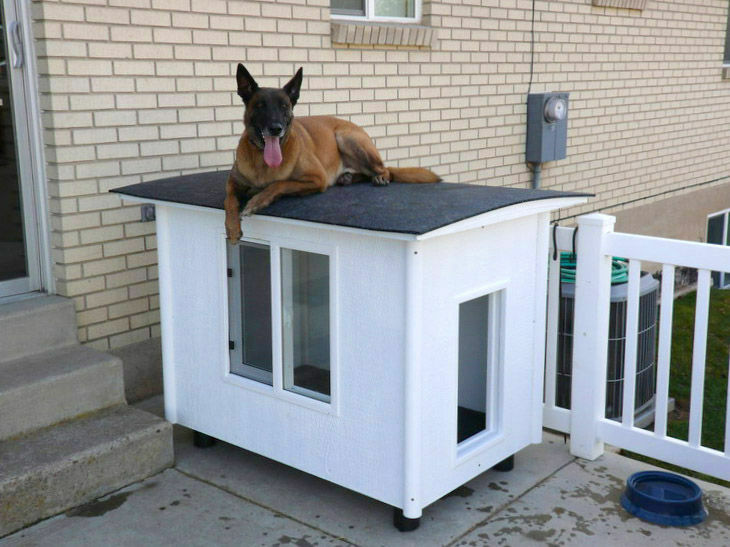 this dog house from instructables even has a curtain for extra privacy. 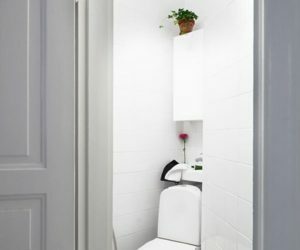 It’s cute, small, easy to built and it has wheels so you can move it around to clean up underneath or to relocate it if needed. 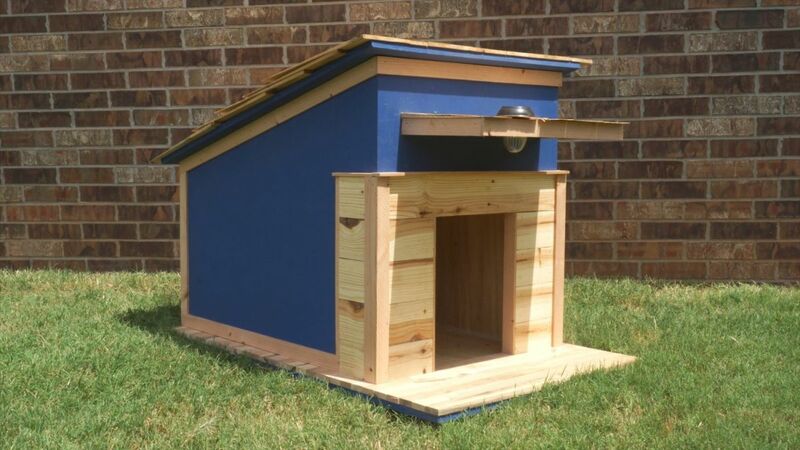 The actual dog house is more or less a wooden box with a rectangular opening that serves as a front door. There’s a curtain which keeps the insects out and gives the dog extra privacy when sleeping. There’s also a little porch at the front so the dog can lounge and relax when it’s nice outside. Although cats are known for loving to lounge in the sun all day, dogs enjoy it too occasionally so building a dog house with a sun deck is a pretty cool idea. 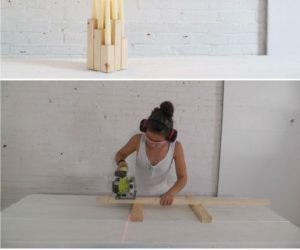 You can find plans for such a project on instructables. 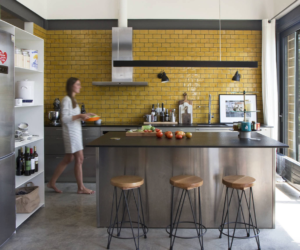 The house featured here is built out of reclaimed pallets and is actually pretty big. It has two interior compartments. One is the entrance with the main door and one is the sleeping area and has that sun deck extension. Dogs sometimes also like to climb on top of their little houses and enjoy lounging up there and observing everything that’s going on around them. 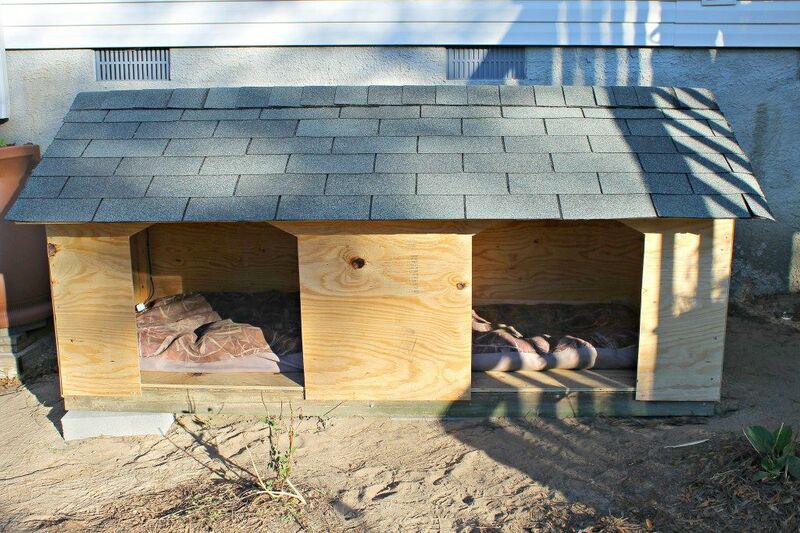 That being said, you could make that an enjoyable experience by building a dog house with a flat and comfortable roof. This way there’s no need for a patio or a sun deck anymore. 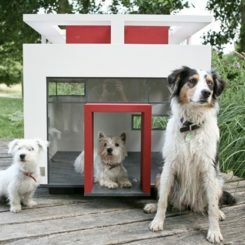 Check out these dog mansion plans from instructables if you’re interested in starting the project. 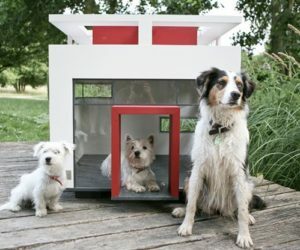 Speaking of dog mansions and fancy designs, how would you like to build a stylish mini ranch house for your furry friend? It would actually be quite easy, as long as you follow the instructions and plans shared on sunset. 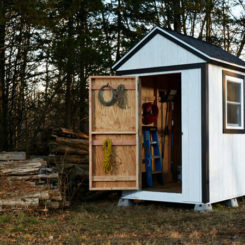 You could then put the new dog house out in the backyard or the garden or you can keep it closer to your home, on the porch or the deck where it’s cozy and safe. 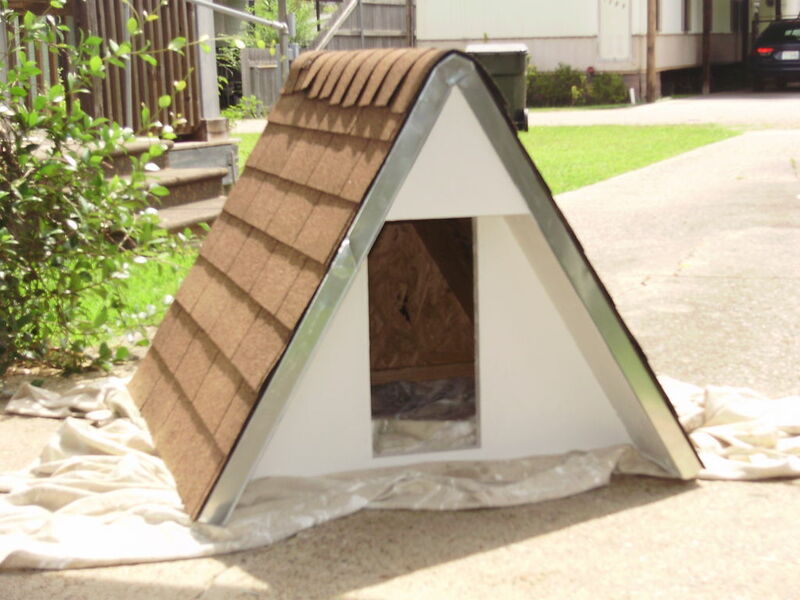 This is an A-frame dog house for which you can find the plans on instructables. 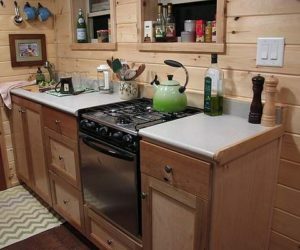 It has a simple and easy-to-build design and it also seems to be very well insulated. 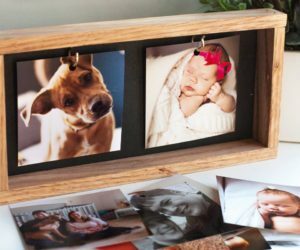 If you like it you can put together something similar for your own dog. You’ll need a bunch of screws and nails, a pack of asphalt/ fiberglass shingles, drip cap sections, OSB sheets, insulating foamboard and exterior paint. 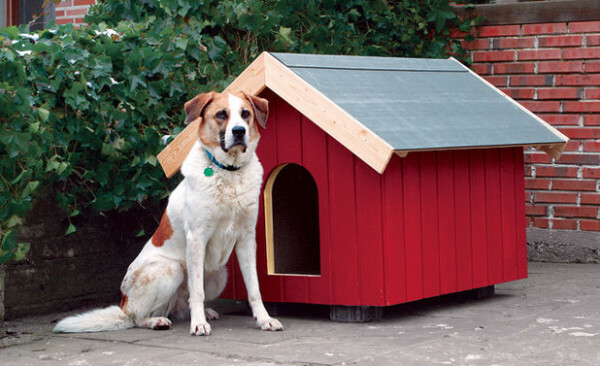 A really cute idea is to build a DIY dog house that matches your own house. 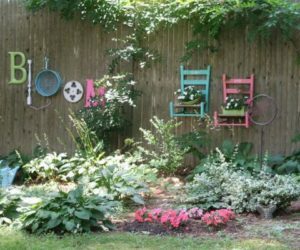 You could paint the exterior in the same colors and even give it a similar structure, obviously simplified of course. 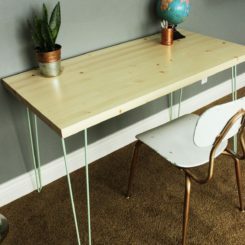 You could use the plans from buildsomething if you think this design would work for you. 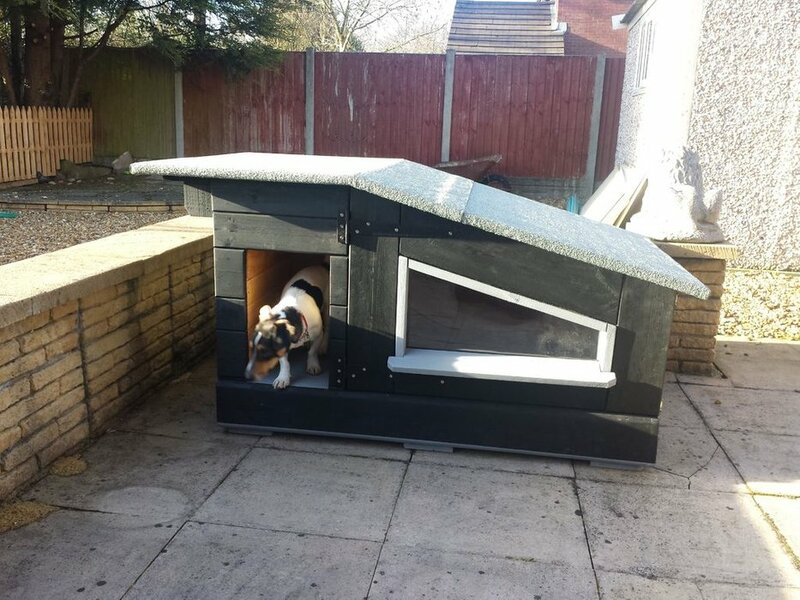 This dog house has a covered porch and two little square windows. It’s simply adorable. Instead of windows, this dog house has two doors. You can find the plans for it on intelligentdomestications. The list of supplies needed for the project includes some pieces of plywood, a roll of roofing felt, asphalt shingles, angled rafter hangers, adjustable angle brackets, screws, roofing tacks and heat lamps with clamps. 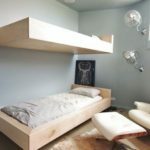 You should also put a comfy mattress or some pillows inside.